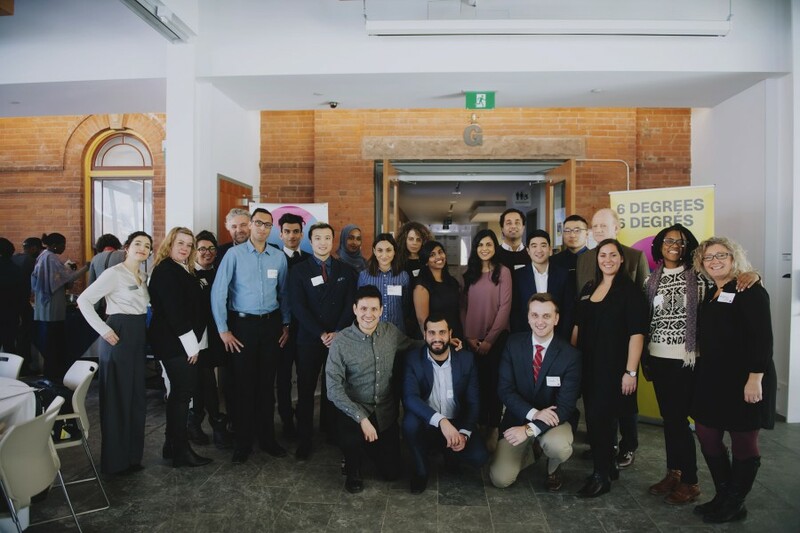 Before 360: Propelling Youth Employment in the GTA could begin there was a perfect opportunity for those who were there to socialize and introduce themselves. Conversations were taking place between individuals with different ages and skill backgrounds. Not only was this an ideal way to warm up for the discussions that were going to be taking place in the upcoming segments, but it was also a way to exchange contacts and learn more about different fields, which became useful in the discussions that followed. Soon the crowd grew bigger and the morning segment began. Tables consisted of a good mix of people such as cohort members, guest speakers, government officials and other guests. Each table had a question to focus on and the cohort member to whom the table was assigned had to lead the discussion. After the first portion of the day was over, there was a break and everyone got a chance to chat with people. The networking this time was easy since people continued the discussions inspired by the morning’s questions, and people were willing to share something personal about their experience. After the break it was time for the main event – the 360 session. The discussion began with a question, which opened up the conversation and allowed it to evolve naturally. Experts went deeper into the issues of youth employment that seemed to have been tied to many of other issues as well. Since more experts, government officials and policy analysts got a chance to share their perspective at a deeper level in this segment, it also limited the opinions of those sitting on the outer part of the circle. This was probably the only drawback of the event but nevertheless, the discussion did move towards a direction that ensured the focus was around youth unemployment. It allowed the conversation to go deeper and tackle other related issues, building a foundation for the conversation to continue and expand further. The 360 event was a perfect example of the type of inclusive space in which a discussion can take place where new ideas and strategies are identified, and ideas for policies and programs can come forward. However, the conversation has to continue, and will continue in the upcoming months.